Through June 15 – “My Cousin Rachel” at the Nickelodeon Theater. This is the tale of a young Englishmen who plots revenge against his cousin, but then finds himself falling in love with her. For more information call (803) 254-3433 or visit http://nickelodeon.org/films/my-cousin-rachel/. Through June 15 – “It Comes at Night” at the Nickelodeon Theater. An unnatural threat is terrorizing the world, and a man has established a tenuous order with his wife and sun when a family arrives seeking refuge. For more information call (803) 254-3433 or visit http://nickelodeon.org/films/it-comes-at-night/. Through June 16 – Professionals . . . in spaaace! At the South Carolina State Museum. Kids ages 12 to 14 will learn how to assemble a crew for space, analyze the surface of Mars, learn how to stay fit in microgravity and then talk with the “training crew” by video chat to answer any questions the students may have. For more information call (803) 898-4921 or visit http://scmuseum.org/summer-field-study/. Through June 17 – Columbia Fashion Week at the Hampton Room on Main Street. Each night will offer something special and there is even a kids night and student designer night during the course of the event. For more information email info@columbiafashionweek.com or visit http://www.columbiafashionweek.com/. Through June 18 – “The Commedia Sleeping Beauty” at the Columbia Children’s Theater. This improvisational production will have children and adults alike laughing from beginning to end. For more information call (803) 691-4548 or visit http://www.columbiachildrenstheatre.com/the-commedia-sleeping-beauty/. Through June 29 – Summer Camps at City Root Farm. Kids will have a chance to learn where there food comes from, make butter, make pickles, collect seeds, make ice cream from fresh eggs, and more! For more information call (803) 254-2302 or visit http://www.cityroots.org/summer-camps/. Through July 1 – “Rock of Ages” at the Trustus Theater. This is a tale about the end of the 80’s on Sunset Strip in Hollywood, where an aspiring rock star meets a girl when foreign developers come to develop the Strip and they among others try to prevent the development, with rock songs by Journey, Bon Jovi, and more providing the answer. For more information call (803) 254-9732 ext. 1 or visit http://trustus.org/event/rock-of-ages/. 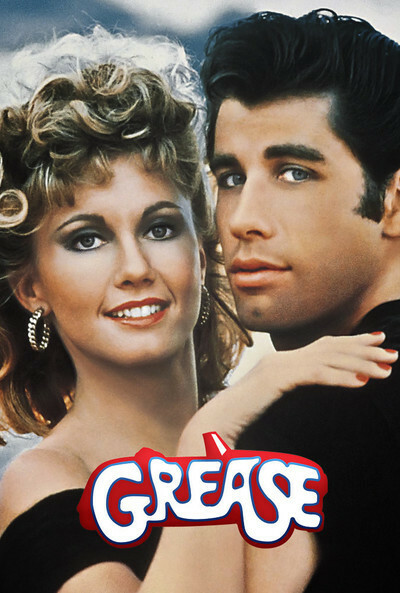 June 17 – Drive In Summer Series: “Grease” at the Historic Columbia Speedway in Cayce. Feel like you are back at the drive in and come out with the family for a fun evening of watching a movie under the stars. For more information visit http://summerdriveinseries.com/. June 17 – Soiree on State on State Street in Cayce. Park at Brookland Cayce High and head toward Henry’s on State Street and you’ll find the Party, with a jazz band, a shag dance floor, food and beverages, as well as a children’s area. For more information call (336) 324-6366 or visit http://www.columbiacvb.com/includes/calendar-of-events/Soiree-on-State/51772/. June 17 – River Kayaking Tips and Tricks in the parking lot of Riverfront North off of Rivers Drive. If you are new to kayaking in this program you can learn what to pack in your first aid dry bad and how to secure your kayak to the roof of your vehicle securely. For more information call (803) 545-3100 or visit https://www.columbiasc.net/parks-recreation/programs-activities/outdoor. June 17 – Touch a Truck at Saluda Shoals Park. Bring the kids out for a chance to touch big commercial vehicles and talk with their operators. For more information call (803) 731-5208 or visit http://www.icrc.net/touch-a-truck-2017-06-17. June 20 – South Atlantic League All-Star Game at Spirit Communications Park. This is a game you won’t want to miss! For more information call (803) 726-4487 or visit http://www.columbiacvb.com/includes/calendar-of-events/2017-South-Atlantic-League-All-Star-Game/50519/. June 20 – Lower Trail Nature Walk at the parking lot at Riverfront North off of Rivers Drive. Take a walk with a naturalist and learn some of the secrets only the Park staff now about this area. For more information call (803) 545-3100 or visit https://www.columbiasc.net/parks-recreation/programs-activities/outdoor. June 20 – “After Stonewall” at the Nickelodeon Theater. This story is about the 1969 riots that occurred after the police raiding of the Stonewall Inn, a gay bar in New York Cities Greenwich Village. For more information call (803) 254-8234 or visit http://nickelodeon.org/films/after-stonewall/. June 20 – “Cheer Accident” at the Tapps Art Center. This band’s music is a blend of pop and rock, with a flair for the mystical and unique. For more information call (803) 988-0013 or visit https://www.tappsartscenter.com/event/infinite-room-cheer-accident-occupants/. June 20 – Beyond Bollywood: Film Screening of “My Big Bollywood Wedding” at the South Carolina State Museum. Straight from the Smithsonian Channel Special, you’ll have a chance to a preview screening where you’ll experience firsthand the lavish and colorful weddings put on by the Indians from India and tour the exhibit to see some of the wedding attire on display. For more information call (803) 898-4921 or visit http://scmuseum.org/explore/exhibits/changing-exhibits/bollywood/. June 21 – Summer Solstice & World Music Day at the brick amphitheater near the walking bridge at Riverfront south. If you are out for a run or a stroll, stop by for some lemonade and a little music. For more information call (803) 545-3100 or visit https://www.columbiasc.net/parks-recreation/programs-activities/outdoor. June 21 – “Rock-a-Doodle” at the Nickelodeon Theater. This is a fun story for kids about a rooster that convinces the other barn animals his crowing makes the sun rise. For more information call (803) 254-8234 or visit http://nickelodeon.org/films/rock-a-doodle/. June 21 – “Granger Smith” at the Music Farm. Come out for an evening of free entertainment with this great country musician. For more information visit http://www.musicfarm.com/event/1490968-granger-smith-free-show-columbia/. June 21 – Haynes Bluegrass: “Pinehill Ramblers”, “Oliver West & 39 Express” at the Haynes Auditorium in Batesburg-Leesville. Get your monthly experience of bluegrass at this fun event and bring your own instrument to participate in the open stage or jam session! For more information call (803) 582-8479 or visit http://www.haynesbluegrass.com/. June 22 – Mutt Mingle at the Red Schoolhouse at Riverfront south on Laurel Street. Come out for games, prizes, and goodies for you and your pup. For more information call (803) 545-3100 or visit https://www.columbiasc.net/parks-recreation/programs-activities/outdoor. June 23 – “Princess Bride” at the Ice House Amphitheater. Spend a Saturday night out with the kids enjoying an entertaining and fun movie. For more information call (803) 358-7275 or visit http://www.icehouseamphitheater.com/. June 23 – Friday Night Laser Lights at the South Carolina State Museum. Come out and see an amazing light show set to music that is back by popular demand. For more information call (803) 898-4948 or visit http://scmuseum.org/calendar/friday-night-laser-lights-1/. June 23 – 24 – Children’s Chance Lake Murray Poker Run with registration and a pre-run raft up on Friday at the Rusty Anchor / Catfish Johnny’s on Lake Murray and Saturday starting at the Lake Murray Dam. Come out for a fun day on the Lake with 6 stops and a lunch party at the Rusty Anchor / Catfish Johnny’s with live entertainment, games, raffles, and a bikini contest all to benefit Children’s Chance. For more information call (803) 254-5996 or visit http://www.childrenschancesc.org/lake-murray-poker-run. June 23 – 29 – “Paris Can Wait” at the Nickelodeon Theater. The wife of a successful but inattentive husband finds herself on a trip with a business associate of her husbands with the trip turning into two days of adventure, romance, and fun. For more information call (803) 254-8234 or visit http://nickelodeon.org/films/paris-can-wait/. June 24 – Canal History Tour at the Red Schoolhouse at Riverfront Parks south end. Learn how the canal has been a part of Columbia’s history for over 200 years and the role it played throughout that time. For more information call (803) 545-3100 or visit https://www.columbiasc.net/parks-recreation/programs-activities/outdoor. June 24 – Fairy House and Pizza Party Workshop at the Columbia Art Center. Here is your chance to make your own fairy house while enjoying a pizza party. For more information call (803) 545-3093 or visit https://www.columbiasc.net/depts/parks-recreation/june_2017_workshops.pdf. June 24 – Pickleball Tournament at Saluda Shoals Park. Come out for this fun tournament as a participant or a spectator, as you might decide this is the sport for you. For more information call (803) 731-5208 or visit http://www.icrc.net/pickleball-tournament-2017-06-24. June 24 – “What She Said Project” at the Tapps Art Center. This is a community based story-slam competition intended to empower women to be more expressive. For more information call (803) 988-0013 or visit https://www.tappsartscenter.com/event/what-she-said-project/. June 25 – “RSC LIVE: Julius Caesar” at the Nickelodeon Theater. Performed by the Royal Shakespeare Company, this is a thrilling portrayal of Julius Caesar after he returns from war. For more information call (803) 254-8234 or visit http://nickelodeon.org/films/rsc-live-julius-caesar/. June 27 – Summer Wildlife Walk at the parking lot of Riverfront North off of Rivers Drive. Learn about the wildlife that live along the river and trail on this naturalist led walk. For more information call (803) 545-3100 or visit https://www.columbiasc.net/parks-recreation/programs-activities/outdoor. June 27 – Beyond Bollywood: City Yoga Class at the South Carolina State Museum. Come have a unique yoga experience in celebration of the Beyond Bollywood exhibit. For more information call (803) 898-4928 or visit http://scmuseum.org/explore/exhibits/changing-exhibits/bollywood/. June 28 – “The Lego Movie” at the Nickelodeon Theater. In this great family movie, learn about a Lego Construction worker who is recruited to help stop an evil tyrant from gluing the entire Universe into a state of stasis. For more information call (803) 254-8234 or visit http://nickelodeon.org/films/lego-movie/. June 28 – “Easton Corbin” with guest “Dylan Scott” & “Mo Pitney” at the Music Farm. With two number one singles, you are certain to enjoy this free country show! For more information visit http://www.musicfarm.com/event/1490972-easton-corbin-free-show-columbia/. June 29 – “Mad Max: Fury Road: Black & Chrome Edition” at the Nickelodeon Theater. Years after civilization has collapsed, the enslaved apocalypse survivors attempted to escape in this black and white version of the film. For more information call (803) 254-8234 or visit http://nickelodeon.org/films/mad-max-fury-road-black-chrome/. June 30 – “Edwin McCain” at the Ice House Amphitheater. One of South Carolina’s favorite local musicians has returned to Columbia so get your ticket now before they are all sold out. For more information call (803) 358-7275 or visit http://www.icehouseamphitheater.com/. June 30 – “The O’Jays” with guest “Stephanie Mills” at the Township Auditorium. Come out and celebrate the Big DM’s Independent Soul Festival with an evening of great entertainment. 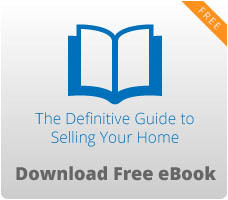 For more information call (803) 576-2350 or visit http://www.thetownship.org/events/. July 1 – Saxophonist “Dante Lewis” featuring “David P. Stevens and Mike Stone” at Finlay Park. Come out for an evening of music in this beautiful park which will be followed by a holiday fireworks display. For more information call (803) 545-3100 or visit https://www.columbiasc.net/parks-recreation/programs-activities/special-events. July 1 – Monthly Gospel Singing: “Forever Changed” & “Believers Quartet” at the Midlands Gospel Singing Center in Gilbert. There is nothing like some good gospel music to build your spirits some come on out for this heartwarming event. For more information call (803) 719-1289 or visit https://www.midgsc.com/concerts. 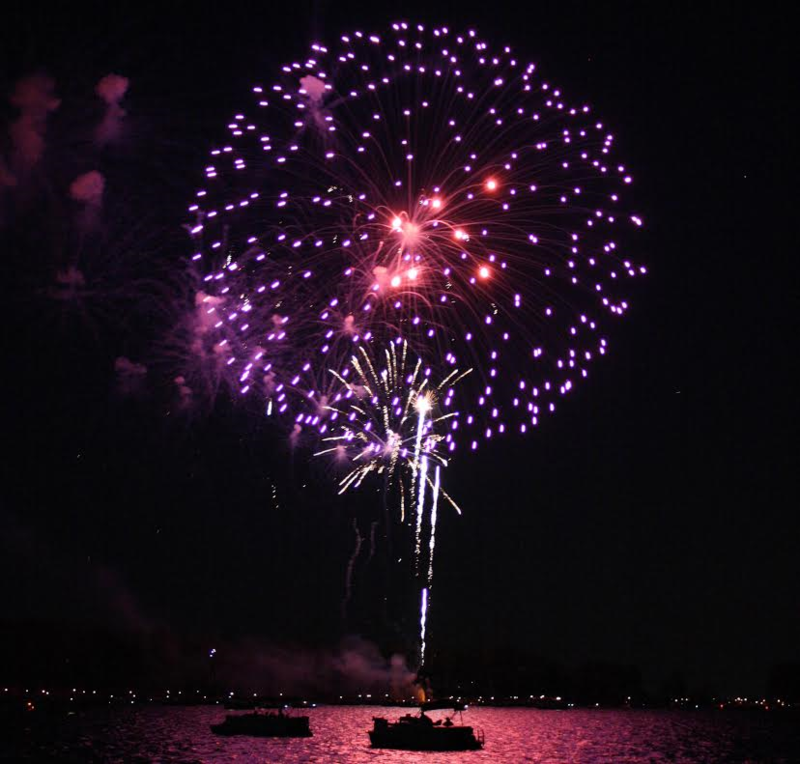 July 1 – 4th of July Celebration on Lake Murray. Enter the boat parade or be sure to be on hand to watch this amazing presentation and you certainly won’t want to miss the fireworks display that will be on both Spence Island and Dreher Island. For more information visit https://www.lakemurraycountry.com/things-to-do/events/Lake-Murray-Fireworks-Celebrations. July 2 – Carolina Celebration of Liberty at the First Baptist Church of Columbia. This annual event is a wonderful way to celebrate this holiday as there is always a spectacular show! For more information visit https://www.facebook.com/FirstBaptistColumbiaSC/. July 2 – 3 – “Sullivan’s Travels” at the Nickelodeon Theater. A successful director decides he wants to produce a film about the troubles of the downtrodden and chooses to experience poverty first hand by setting out in tramps clothes with only a dime in his pocket. For more information call (803) 254-8234 or visit http://nickelodeon.org/films/sullivans-travels/. July 3 – “246 Army Band” at the Ice House Amphitheater. Celebrate the 4th holiday by coming out and listening to patriotic music and enjoying a night under the stars. For more information call (803) 358-7275 or visit http://www.icehouseamphitheater.com/. July 3 – Star Spangled Symphonic Salute at Saluda Shoals Park. Presented by the Lake Murray Symphony Orchestra, you’ll enjoy an evening filled with Broadway hits, sing-a-long songs, and of course, patriotic music. For more information call (803) 731-5208 or visit http://www.icrc.net/star-spangled-symphonic-salute-2017-07-03. July 4 – Gilbert Peach Festival at the Gilbert Community Park in Gilbert. At this exciting event you’ll enjoy a parade, a peach recipe contest, live entertainment on three stages, good food, and of course, peach ice cream ending the day with a great fireworks display! For more information call (803) 892-5207 or visit http://www.lexingtoncountypeachfestival.com/.